Back in the early days of this blog, I used to write a lot about the workouts I did. I was focusing on running and I used to run the waterfront loop during my lunch hour (man, I have so many fond memories of that). On the weekends Michael and I used to ride our bikes on the 40 mile Springwater Loop around Portland. These were the focuses of my blog. Weight lifting was pretty non-existent on 110pounds.com. I just didn’t like it. I didn’t really spend much time on it and didn’t see any changes in my body as a result. I thought it was a waste of time. Boy was I wrong. Several injuries that sidelined me from biking or running meant I had to find SOMETHING I could do. That’s when I started lifting weights. Funny, when you lift weights FOR REAL, like it’s your main focus, several times a week for months on end–you DO see results! Who knew? That started the love affair with weight lifting. Once I saw a change and felt a change, I was convinced. I haven’t done a post in a long time about what kind of work I’m doing in the gym. 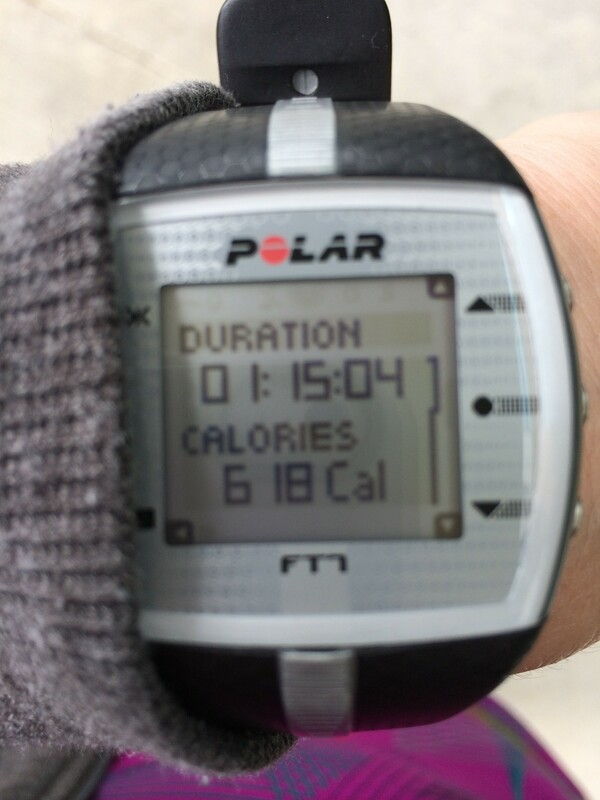 I wanted to share what my favorite workouts are lately in this post. This is the basic swing, one move you learn on day one with kettlebells. I’m currently using a 30 pound kettlebell. I could probably go up to 35 but I tend to air on the side of caution when it comes to increasing my weights. I know, I know, if I want to see progress I need to up the weight! I try my best but my history with injury has made me overly cautious and as such, I tend to get stuck in ruts for awhile before I go up in weight. This one can be done with free weights or with kettlebells, whichever feels most comfortable with you. I love this exercise because it reminds me just how imbalanced my body is. One side is ALWAYS more wobbly than the other. I also notice that if I take a break from doing this exercise I lose whatever balance improvements I’ve gained pretty quickly. I am currently using two 15 pound weights for this exercise. I’d like to go up to 17.5 pounds soon but I keep having setbacks and have to start over again. There is nothing flashy or fancy about this exercise but it’s functional and I notice a difference when I do it consistently. 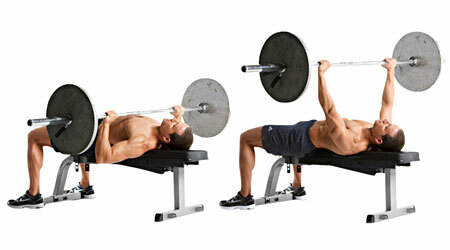 I lay down on the bench and then do a few sets of presses with a 30 or 35 pound barbell. I could probably increase to 40 pounds any day now if I’d stop being so cautious. 🙂 This is a move that helps me with day to day life. For example, Michael and I recently bought a new bookcase and had to move the old one into the office and then move the new one to the living room. These were very large, very heavy pieces and while there was no way I could life it all by myself, it was certainly easy with the both of us and I did not struggle with carrying the weight. Yay for weightlifting! This exercise is something I’ve been doing for awhile, on and off depending on what kind of resources I have handy. My physical therapist suggested I do this to strengthen my glutes (when I was trying everything I could to fix my knees). It works. I can feel it! I use one of the machines at the gym and do both legs. If I don’t have access to the machine, or I’m at home, it can be done with those stretchy bands, but I like the machine better. This one is a suggestion from my physical therapist, as well as a yoga move. It’s a funny name but it is so beneficial–for runners, for anyone with muscle imbalance or chronic injury. It works on the core as well as the glutes and hamstrings. I work this move into my abs workouts. If you’re on the fence about starting a strength training program, I recommend you give it a chance–at least for a few weeks. Give it four weeks of 2-3 sessions each week and you WILL see a change. It might be a change on the scale (most likely a loss! ), you might notice you are stronger, you might feel better or you might notice some muscle definition you never had before. Sure you won’t look like Arnold Schwarzenegger after just a month of lifting weights, but trust me. If you stick with it, you will see a difference. Ladies: don’t be intimidated! You have every right to be there with the guys and show them what you got! Don’t be shy! I let my shyness keep me away for far too long. I am so glad I learned to love weights! I am on Week #4 of a strength training program (free! bitesizefitness on facebook) and I have to say, even though I’ve only lost a couple pounds in June, I “feel” smaller and my pants are looser – strong = healthy! That’s so great!! I went through something similar when I started really weight lifting. While I didn’t lose a lot of weight, my clothes were definitely looser. I LOVE weights and strength training, hate cardio. I started off with a kettlebell at home and fell in love. I’ve been a runner for almost 30 years and have done other workouts but it is only in the past few years that I’ve really come to love strength training – good thing since at 44 I need it!!! That’s great you learned to love it! I wouldn’t say I love ST, but I love the fact that it’s helped keep my running injury-free and has helped me get a lot stronger. That is an EXCELLENT reason to do weight lifting! Glad you are injury free.